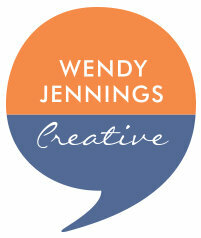 Wendy Jennings Creative offers a first-class copywriting service that suits your own personal style and business image. You can be certain that I will invest the time to understand your business, allowing me to create content that really works. I’d be delighted to undertake copywriting projects on your behalf; from the initial brief to the final full stop before print or post. I fully understand the requirements for great website copy and will cleverly knit your keywords into your content to help you climb the Google rankings as well working directly with your web developer if you wish, to ensure the copy and site build is a seamless and successful experience for you. Is Social Media your Marmite? Love it or hate it, social media is today’s key component in driving your business forward, but it can be time consuming. That’s why I take the pressure off my clients, by providing blog copy, social media posts and newsletter content on their behalf. This is a great time saving resource for busy business owners and creative agencies who are looking to outsource. I’m here to ensure you get your message across clearly and effectively, in an engaging and clear style giving your potential customers total confidence in you and your business. Learn writing techniques & explore where great copy can take your business. Contact Wendy Jennings Creative today for expert proofreading and content editing services. Professionally written from scratch, rewritten or refreshed to build a great relationship with your online audience. Boost your search engine results though seamlessly clever copy that contains those all-important keywords. I’ve helped many of my clients through the awards application process, with every single one to date reaching at least finalist position. This seriously raises your profile opening great PR opportunities. Getting your strapline right sets the tone for what is to follow through your whole range of marketing tools; I ensure that your brand message is delivered. Save time by outsourcing your time-consuming social stuff. Make time for you and your business goals. Free downloads of e-Books and business resources are great for data capture and the ongoing online nurturing process with your leads, I can help you with ghostwriting, editing and proofing. No-one likes to write about themselves. Through a relaxed interview-style session, I can draw out the best bits of you and your business. A small sized area to shout your big brand message from. I create waffle-free, engaging content. A great way for us to tell your success story in a succinct and engaging way, when you are limited on space or wordcount. If the time has come for you to make a career change, go back to work or apply for a promotion, you can almost guarantee that your CV will be seriously out of date. I create CVs that get my clients into the yes pile and then into the role they want. If you have any of these in place already, but feel you could benefit from proofreading or editing, then I would be happy to help.